Wishing you all a safe, spooky weekend. 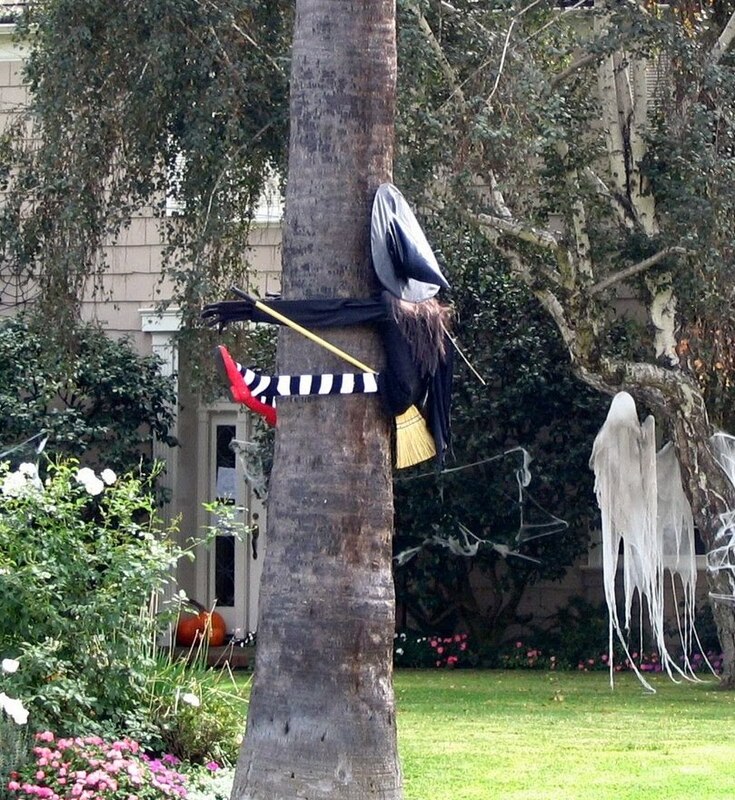 And remember: don't drink and fly. If you aren't downing bowls of pasta and stew, then you might be trying to keep things light in the weeks leading up to the holidays. Should fish, salads, and lots of vegetables feature in your upcoming menu plans, you will want to have some Sauvignon Blanc on hand. Sauvignon Blanc is a grape that can be used to make wines in any number of styles: from smoky and rich to round and melony to sharp and grassy. With fish and salads, I find that the sharper Sauvignon Blancs really bring out the clean tastes of the seafood and the fresh crispness of salads and vegetables. Year in, year out, I turn to Sauvignon Blancs from New Zealand when I want a sharp, grassy wine. And more often than not, the wine I reach for as my standby is the widely available, appealingly affordable Cupcake Vineyards bottling. The most recent version is the 2010 Cupcake Vineyards Sauvignon Blanc from Marlborough. (suggested retail, $14; available in the market for $7-$12) This is another winning vintage, with tart gooseberry, lime, and cut grass aromas and flavors. The wine has plenty of fresh acidity, and a juicy, citrusy aftertaste that will bring almost any fish, chicken, or vegetable dish to life. Excellent QPR. We tried it with a recipe in a recent Food & Wine Magazine: grilled shrimp salad with avocado-citrus salad. It was an outstanding combination, with the acidity of the wine playing off the rich avocado, the grassy notes pulling out the cilantro used in the recipe, and the lime and other citrus elements combining beautifully with the orange, lime, and tomatoes in the dish. It really feels like autumn here in Southern California. And before you laugh, yes, we DO have seasons (they're screwy, but we have 'em). There's a whole lot of stew, soup, and pasta being cooked up in my house these days, whereas a month ago if it couldn't be cooked on the grill it wasn't on our table. Today I have two picks for your pizza and pasta nights--and if your calendar looks like mine does between Halloween and New Year's Eve that means most nights of the week. Both of them come from California, but are made with traditional Italian grapes: Sangiovese and Dolcetto. When you are having tomato-based dishes and want to serve a red wine, it's important to pick one with good acidity and not too much tannins (that pucker on the sides of your tongue). So if you can't find one of these selections, ask your local retailer for their suggestions. 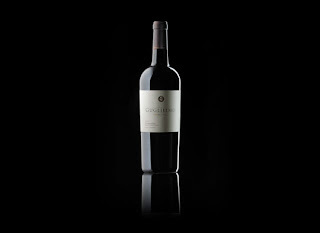 First up is the 2008 Ortman Family Vineyards O2 Series Sangiovese. (suggested retail, $17; available for $17-$22)This is a rich, layered wine that will pair beautifully with robust, meaty pasta dishes and spicy pizzas. The wine had aromas of cherry cola and chocolate. Expect to taste cherry, blackberry, dark chocolate, and spice as you sip the wine. The nicely layered quality of the flavors extends into a juicy finish, with plenty of acidity to keep the wine from getting heavy. Very good QPR. The other wine to try is the 2007 Naughty Boy Dolcetto ($15.99 in my local independent grocery store; available for $15-$17). The grapes for this wine were grown in the cool Mendocino County AVA, and they made a very enjoyable wine with kirsch, blackberry, and licorice aromas. 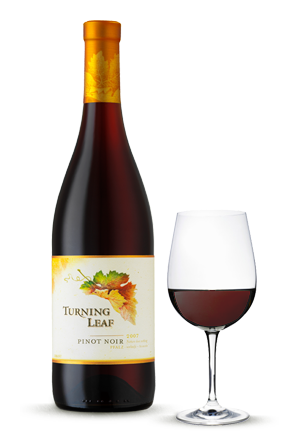 When sipped, the wine was smooth on the tongue with cherry, blackberry and pepper notes. There was a slightly smoky aftertaste, which made the wine ideal with an easy, hearty eggplant bolognese. Try it with sausage or mushroom pizza, too. Very good QPR. Full Disclosure: I received a sample of the Ortman Sangiovese for review. So, it's the weekend again. Nearly. Almost. If you are biting your nails waiting for 5 pm today, you aren't alone. This time of year it's easy to feel a bit frazzled and in need of some major comfort. I have three wine suggestions--sparkling, white, and red--and three recipe ideas for you. One menu is vegetarian, one is easy to prep and bakes in the oven (filling your house with yummy aromas and giving you some time to put your feet up), and one is a fun twist on a family favorite. You may have seen this recipe in the latest Cooking Light. It's delicious, fast, and as good for brunch or lunch as it is for dinner. Brimming with gooey cheese, crisp apple, and peppery arugula, what's not to like? 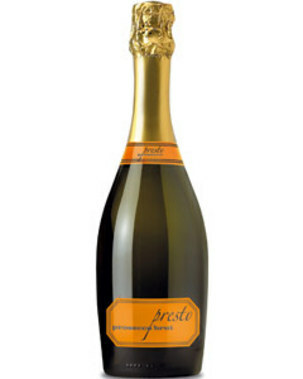 Pair it with a softly citrus sparkling wine like this one, and it tastes even better. The wine is a shade past brut in my opinion, with a nice yeastiness to accompany the citrus elements. The fruit aromas and flavors are a lively counterpoint to the apples and the bubbles cut the richness of the Brie a bit. Very good QPR. Meatloaf has to be one of the all-time most comforting foods. I always use the same recipe from the revised Joy of Cooking that includes ketchup, lots of onions, three eggs, and a cup of quick oats instead of the usual breadcrumbs. You can make meatloaf as light or as rich as you want by using lower-fat proteins like turkey or chicken, but we always go for good old ground beef. With it? Merlot. It's the perfect match. 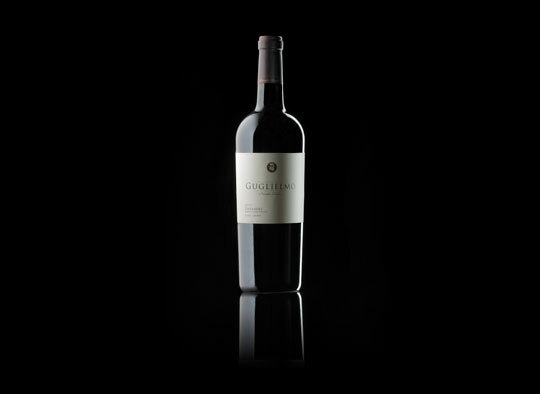 I was impressed by the very good QPR of this bottle of wine, with its rich blackberry and plum aromas. Expect flavors of cocoa, plum, and dark chocolate, with a rich, mocha aftertaste. This wine stands up to the meatloaf, with a nicely plush texture that complements the food. Hot Dogs are a guilty pleasure, one that I indulge in rarely. When I do, I want to enjoy them without any excuses. Finally, I found a recipe that elevates the simple hot dog to an even greater treat: hot dogs in pretzel rolls with sauteed apples and cheddar cheese. Kids will adore them, but grownups will gobble them up, too. The recipe provided an interesting pairing challenge, given the slight sweetness of the hot dogs which was accentuated by the apples. The answer was a dry Silvaner from Germany, with its pure apple aromas and flavors. 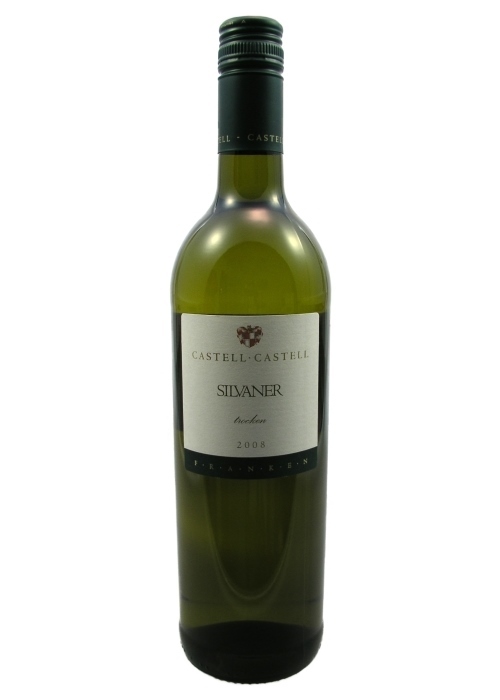 This is a dry wine, but there is a slightly honeyed note in the finish which made it ideal for hot dogs and apples. Expect a fresh, stony, even slightly saline element in the wine, too--like smelling a beach after a rainstorm. Delicious, and excellent QPR. Full Disclosure: I received samples of the Silvaner and Merlot for review. 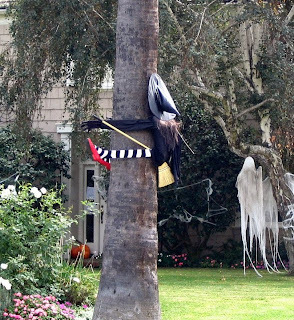 Because today marks the official beginning of the 13 Days of Halloween (don’t worry if you’ve never heard it before because I came up with this holiday concept myself), I’m here to come clean and explain why posting on GWU$20 has been sporadic and what it all has to do with witches, vampires, and wine. In the fall of 2008, my life took an unexpected turn. Regular readers of the blog noticed a steep decline in posts. In January and May 2010, there were no posts at all. “What’s up?” many asked in the comments and by email. At the time, I didn’t want to say. That’s because the answer was unbelievable: I wrote a novel—and Viking Press is publishing it. My first non-fiction book was about 16th-century chemistry, alchemy, and magic. 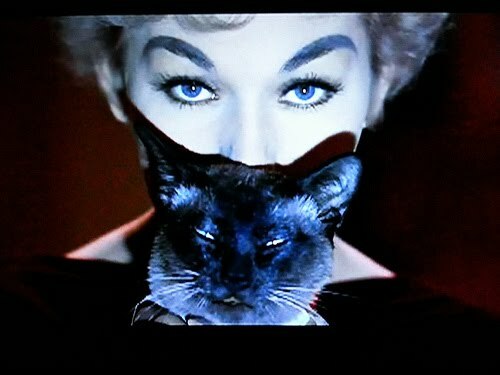 Unless you are completely cut off from all popular culture, you know that there has been a lot of recent interest in witches, vampires, and other things that go bump in the night. Our modern fascination with these premodern topics intrigued me. So I started spinning a tale that imagined our world was populated by all kinds of strange and wonderful creatures that human beings refuse to recognize thanks to our awesome powers of denial. These creatures include daemons (creative, destructive types), witches (who can tap into supernatural knowledge), and vampires (who are not immortal, though they live for a long time). What do they do for a living, I wondered? One question led to another (where do they hang out? who do they hang out with? what problems do they have?). 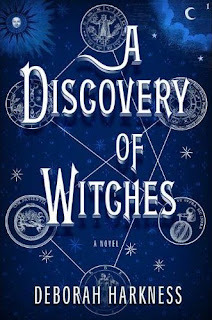 The result is A Discovery of Witches which will be released on February 8, 2011. At the center of the story is Diana Bishop, a modern, fictional descendant of the first woman executed for witchcraft in Salem way back in 1692. Diana is a historian of alchemy, who finds a lost alchemical manuscript at Oxford’s Bodleian Library and meets a mysterious geneticist named Matthew Clairmont. Matthew is a very old, French vampire and now puts his considerable energy into an occupation that rewards long-term thinking. And, along with the rest of his kind, he has a decided taste for wine. Vampires may need blood to survive, just as humans need water, but it’s not all they drink. Wine is always changing, never the same, and drinking it helps vampires endure years and years of same-old, same-old. Imagine what they’ve been able to lay down in their cellars over the centuries, not to mention how much fun it is to befriend such a creature. When I was writing the book, I researched the world’s most collectible and historically important wine—something that expanded my wine knowledge dramatically. If you want a peek at some of the treasures in Matthew’s cellar, click here. And no, I haven’t tasted any of those bottles. If you have some you want to share, do let me know. It is not surprising, perhaps, that a historian and oenophile like me couldn’t resist the idea of a long-lived French vampire with an excellent palate who knew both the biologist Charles Darwin AND the alchemist Nicholas Flamel. If you are so inclined, you can friend the fiction-writer me on Facebook (no wine, just writing), follow me on Twitter (fiction, wine, food, music, and rambling nonsense most days), and of course keep reading here (just wine!). And if you want to find out more about the book, read an excerpt, sign up for updates, or generally procrastinate, head to my website: http://deborahharkness.com. Thanks to all of you who keep tuning in here and for your continued patience when I'm not blogging. Now you know that those silences indicate that I'm not only thinking about wine, but about witches and vampires, too. It's raining in Los Angeles, which means it's officially Zinfandel season. Every autumn, when the heat finally breaks, I look forward to making some soups, stews, and roasts and cracking open some excellent wine. Of course, Zinfandel season extends through the winter and even into the months of BBQ to come, so I've got one recommendation for now and one for you to put aside and drink in 6-24 months when the urge strikes you. 2008 Gnarly Head Zinfandel Old Vine is a very good QPR wine for the price (suggested retail $10.99; available for $6-$14) Autumnal blackberry and licorice aromas lead to a smooth, mouth-filling wine with blackberry, black cherry, and pepper notes in the flavors. The aftertaste rounded out the wine nicely, with more licorice and berry. Not as peppery and complex as some Zins, but it doesn't have the big, jammy quality that many have at this price point. Perfect for enjoying now, perhaps with a warm pot of minestrone if you are stuck at home giving out candy on Halloween. The 2007 Guglielmo Family Winery Zinfandel Private Reserve is a good QPR bottling that I think will deliver very good QPR in time. (suggested retail $19; this new release is only available at this time through the winery) There are reticent berry aromas that can be coaxed forward with air, and lots of pepper and spicy clove on the palate. All are hints of great things to come for this wine, with its solid berry core. It is well-structured, has great acidity, and will start to shine in 6 months or so. Full Disclosure: I received samples of these wines for review. California Chardonnay has a bad reputation. Years of overproduced, overly-oaked wines left a sour taste in the mouths of many wine drinkers. But a few (or a thousand) bad winemaking choices shouldn't make you abandon a grape entirely. Recently, I've seen many winemakers going back to classy Chardonnays that are more restrained in style and more focused on the characteristics of the grape. The 2008 Fess Parker Chardonnay is one of those wines--and I think it may be the finest under $20 California Chardonnay I've ever tasted. (suggested retail $18; available for $14-$20) This is a beautiful example of what Chardonnay grapes can achieve in Santa Barbara. The wine introduces itself with buttered apple aromas. Creamy apple and melon flavors are followed by a toasted coconut note in the aftertaste. Rich and smooth, this wine represents excellent QPR and may restore your faith in California Chardonnay. Try this wine with a seasonally appropriate soup of apples and parsnips, some Tandoori chicken legs cooked on the grill or roasted in the oven, or crab cakes accented with an apple-and-cilantro salad. The apple notes are a terrific companion to the warm spices and fresh flavors of all these foods, and as each recipe uses curry powder the coconut and melon accents in this wine are really brought forward. How does your garden grow? Mine is still going great guns, filled mainly with herbs like a mammoth Greek columnar basil, drifts of Thai basil, and piles of oregano and thyme. My friends who plant vegetables are swimming in tomatoes, zucchini, and late green beans. Now that we're entering autumn in earnest, you might be looking for a wine that goes well with vegetables, foods that use up your abundant herbs, and other seasonal foods such as orchard fruits. 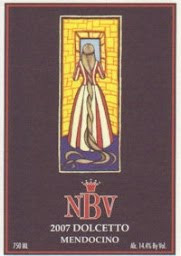 If so, keep your eyes peeled for the 2009 Schloss Saarstein Pinot Blanc (available for around $13). This excellent QPR wine greeted me with apple aromas and a bit of spritz on the tongue at first. There were richer apple and lemon custard notes in the flavors. The juiciness of fresh orchard fruits in the aftertaste encouraged me to come back to the glass for another sip--and another. In addition to autumnal foods, this wine would be terrific with milder Asian cuisine. We had it with Thai curried noodles with pork and Thai basil straight from the garden. The apple and citrus flavors were a bright counterpoint to the aromatic spices of the dish. Full Disclosure: I received a sample of this wine.